This beautiful setting is offset by background of natural karoo field and mountain views, letting you feel far from the buzz of the city; and a restaurateur with a passion for food and good service, ensures an enormously satisfying gourmet experience. The Klein Karoo is renowned for its unique cuisine. 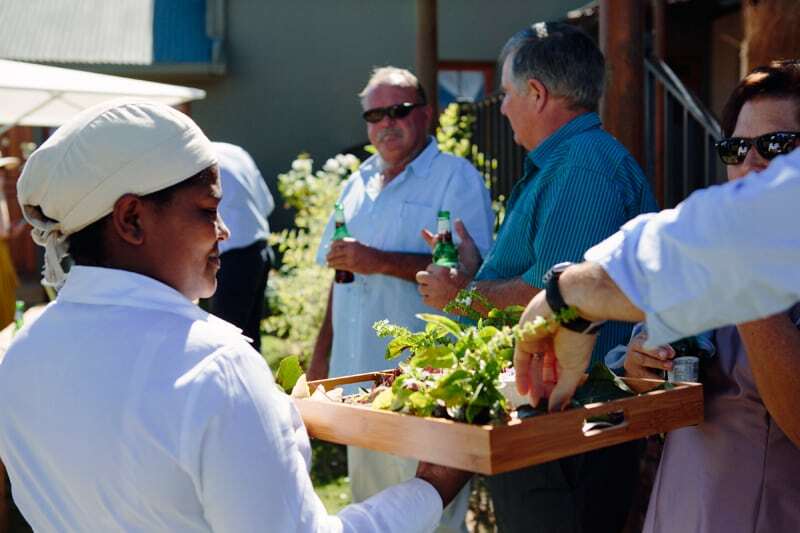 Traditional ostrich, venison and appetising vegetarian dishes with a unique Karoo twist are just some of the plates of delicacies offered on De Zeekoe’s impressive menu. We harvest our own fresh produce daily from our vegetable gardens, in which we cultivate organic vegetables, fruits, herbs and virgin olive oil. Products include figs, olives, quinces, pomegranate, spinach, and lots more. Only the freshest and crispy ingredients are served at our restaurant. All our meat is free range. Try de Zeekoe’s finest beef or ostrich. We serve gluten-free bread and lactose-free milk on request. (Advise before arrival for other special dietary needs). De Zeekoe’s delicious dinners are complimented by its comprehensive local wine list, supplied from our own wine cellar. Enjoy gathering around big fires in the evenings, before sitting down to your evening meal. A la carte menu is available in the evenings. Light lunches available on request. Click Here for Dezeekoes Restaurant Menu and Wine List.